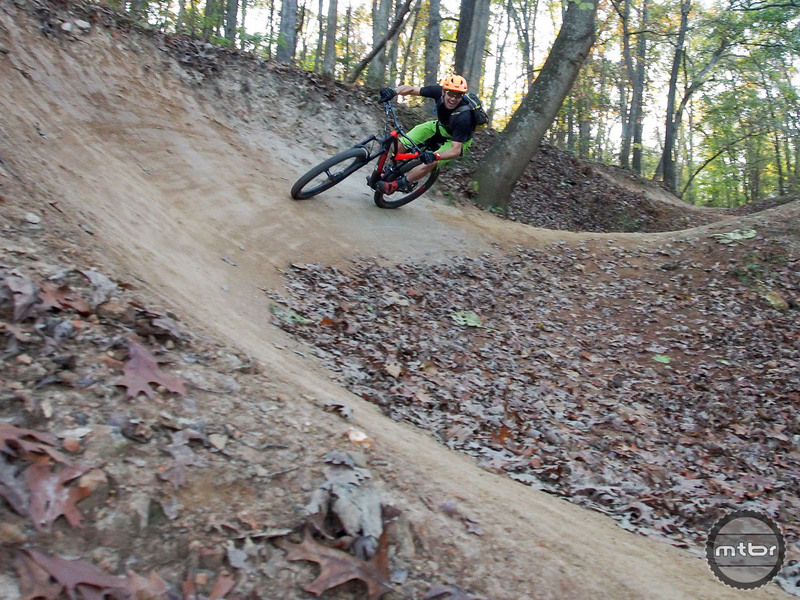 The nearby Slaughter Pen Mountain Bike Trail System has some serious flow. The tribe that is the International Mountain Bicycling Association has gathered in northwest Arkansas for its seventh World Summit, this year coming together in the burgeoning fat tire hot bed of Bentonville. 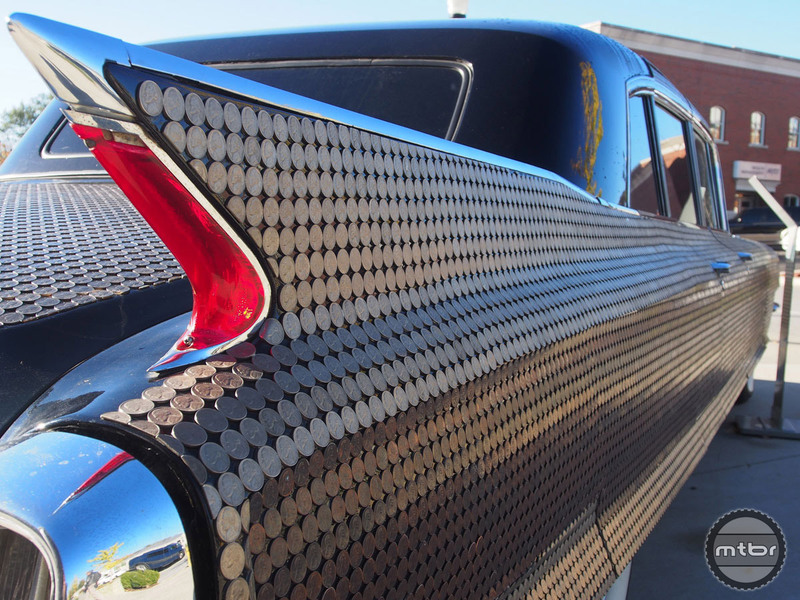 You read that right… Bentonville, Arkansas, fat tire hot bed. The small city (population ~40,000, tagline “A New American Town”) is best known as the birthplace and world headquarters of Walmart. But it’s the city’s recent efforts to attract visitors and retain residents that’s led to creation of an utterly amazing network of trails easily accessible from the Truman Show’esqe downtown. 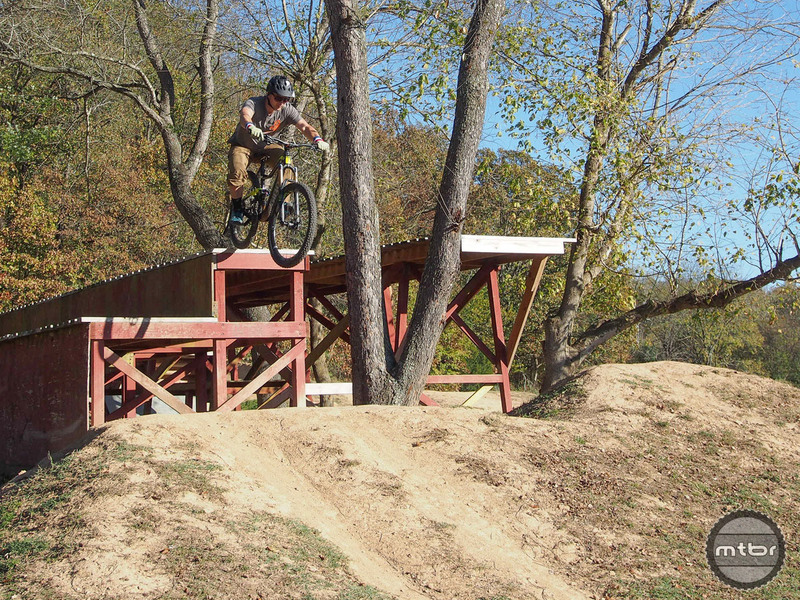 Dropping in at the Slaughter Pen terrain park, about 2 miles outside Bentonville. 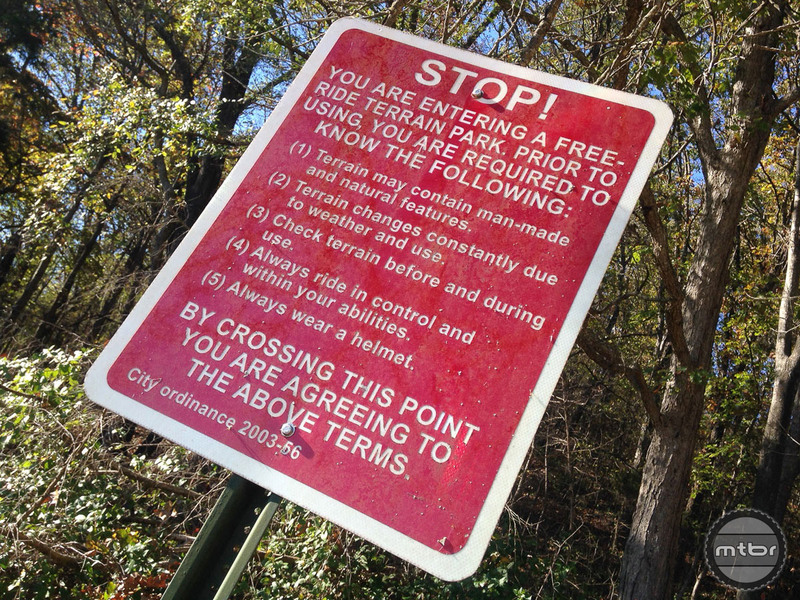 It literally takes just a few minutes of pedaling on the paved Razorback Regional Greenway to reach the first of several sectors that make up the 40-mile Slaughter Pen Mountain Bike Trail System. Terrain ranges from smooth and tame, to fast and flowy, to rough, rocky, and constantly rolling. There’s also a smattering of well built wooden trail features, including some healthy sized drops and mini bike park features. Detailed trailhead map kiosks and on-trail signage is as good as it gets. 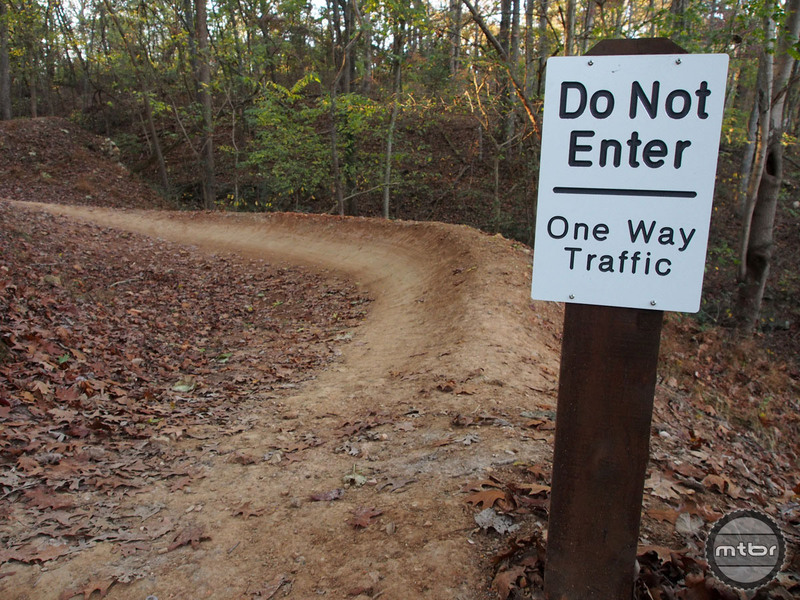 Bentonville also just cut the proverbial ribbon on the new Coler Trail, a 7-plus mile network of directional purpose built singletrack that’s also easily accessible by bike from downtown. 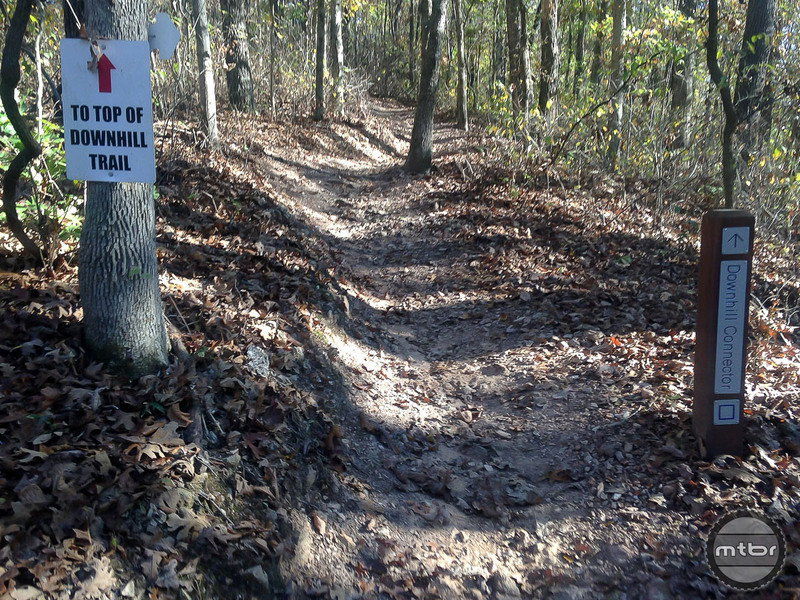 Much of this development is happening thanks to the Walton Family Foundation, which has supported the development of more than 260 miles of paved and singletrack trails in northwest Arkansas, and this week announced that it would once again fund the upkeep of these trails for another year. 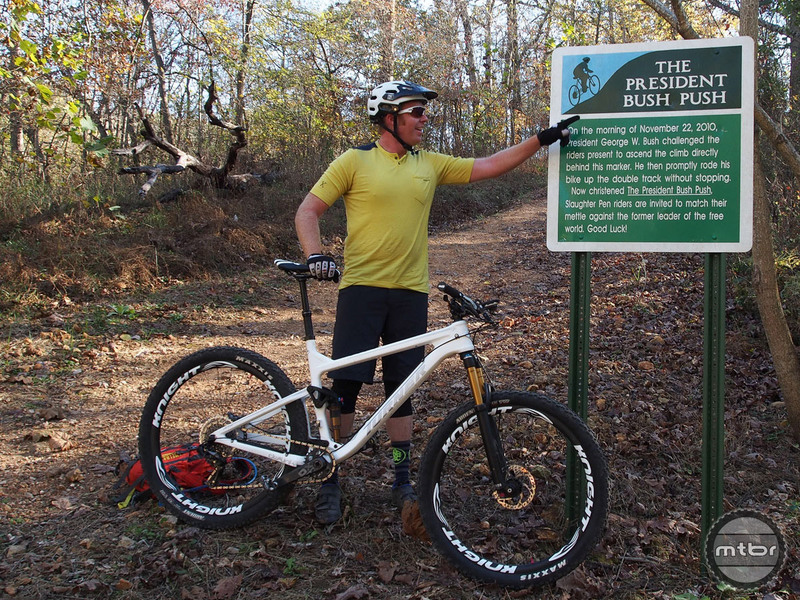 Among the area attractions, the Bush Push, a nasty 70-foot climb with a 20% grade and some interesting presidential history. We’ll post a more detailed look at the area’s riding after the Summit concludes. In the meantime, check out this video and check out oztrailsnwa.com. As for the 7th IMBA Summit, it’s the first time this biennial gathering has sold out, attracting 525 attendees from 40 states and 11 countries. Agenda for the four-day event that runs through Saturday includes a packed schedule of education/information meetings. These sessions range from discussions on e-bikes, to all manner of access issues, to an update from the Bureau of Land Management on its national mountain bike action plan, which should be a particularly interesting conversation given what happened at the polls Tuesday. 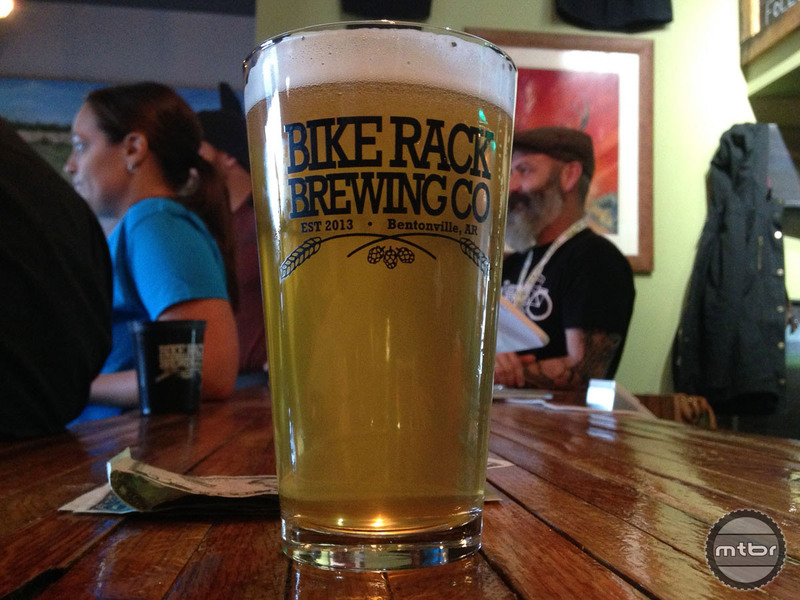 Locally operated Bike Rack Brewing is helping with hydration at the 2016 IMBA World Summit. Of course there’s also plenty of bike riding and beer drinking (make sure to check out Bike Rack Brewing if you’re ever here). 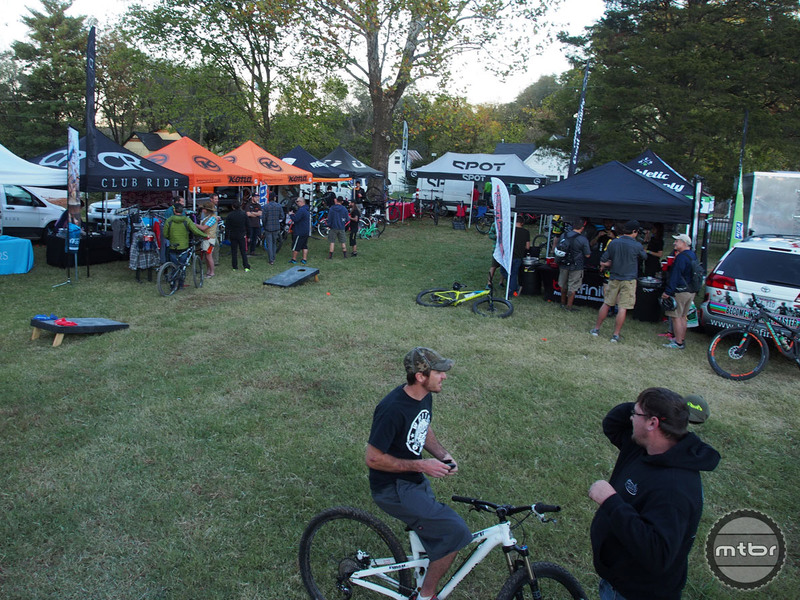 Event attendees have access to hundreds of demo bikes from the likes of Specialized, Pivot, Orbea, Giant, Yeti, Niner, Fuji, Trek, and Salsa among others. The demo area was set-up adjacent to event headquarters at the eclectic 21c Museum Hotel for the first two days, before moving to another nearby trail system for the final two days, which culminates with a 30-mile epic ride at Blowing Springs. IMBA also made news this week, announcing that MTB Hall of Famer Dave Wiens has been elected its new chairman of the board. 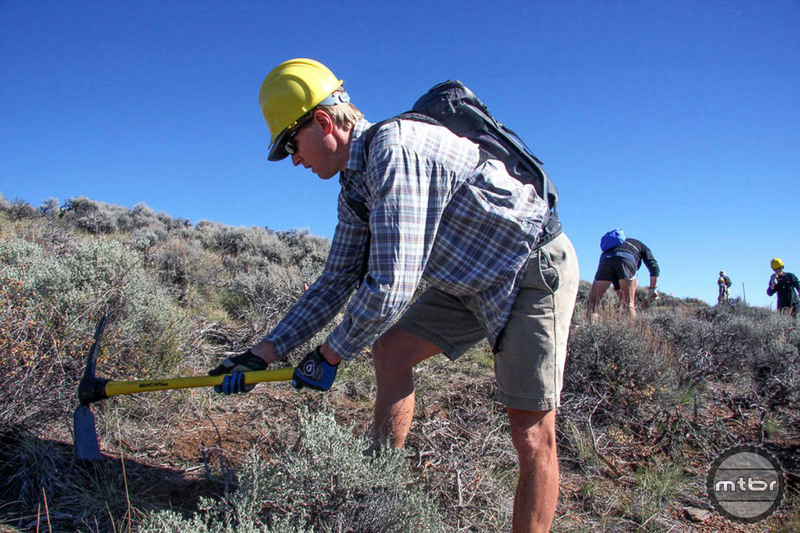 Wiens, who began serving on IMBA’s board in January, is the founder and executive director of Colorado’s Gunnison Trails advocacy organization, and is a six-time winner of the infamous Leadville Trail 100 mountain bike race and former World Cup level cross-country racer. New IMBA chairman of the board Dave Wiens at work on his home trails in Gunnison, Colorado. 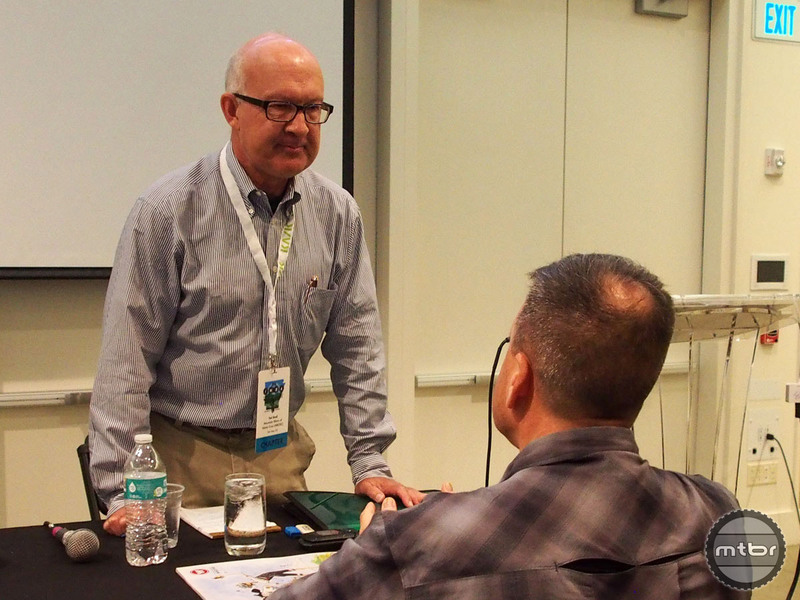 With outgoing chair Bob Winston’s final term coming to an end, the IMBA board felt it was the right first step to first pick a new chairman before turning its focus to the ongoing executive director search. IMBA says its board is working to select a permanent executive director, but does not have a set timeline for filling position. In August, Mike Van Abel resigned after 12 years on the job. Mtbr is on the ground here in Bentonville, attending sessions and checking out new trails. 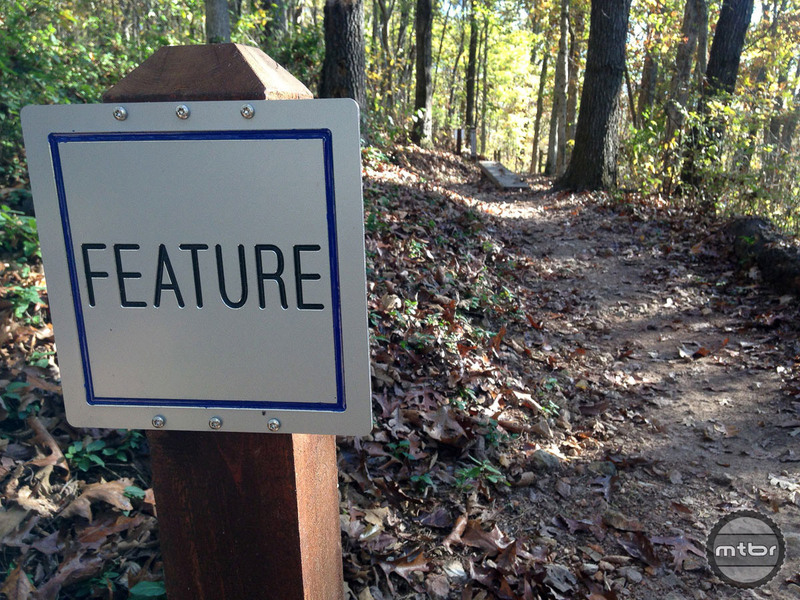 Check back soon for more, including a report on a recently completed study on the impact of e-bikes, and an update on IMBA’s relationship with the upstart Sustainable Trails Coalition. In the meantime, here are more sights and scenes from northwest Arkansas. 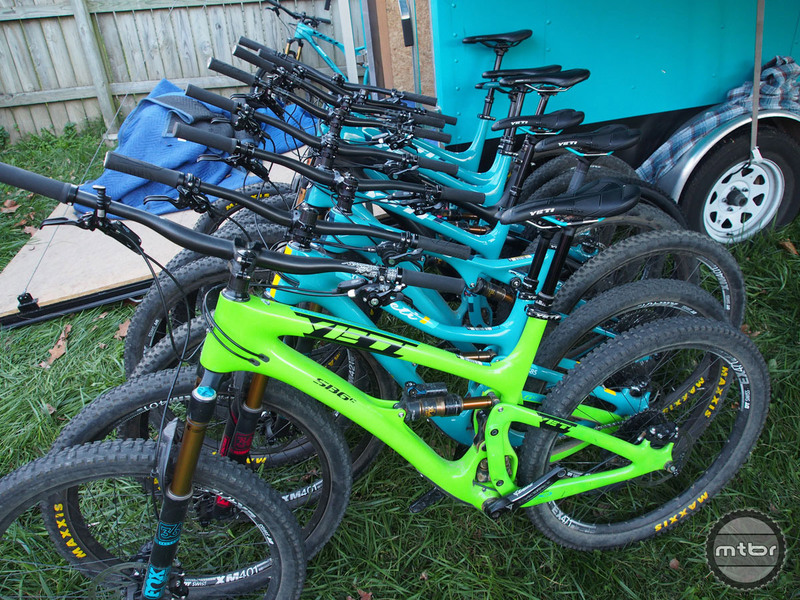 Attendees have a host of demo bike choices, including this fleet of Yetis. The demo area is just a few blocks from downtown Bentonville. 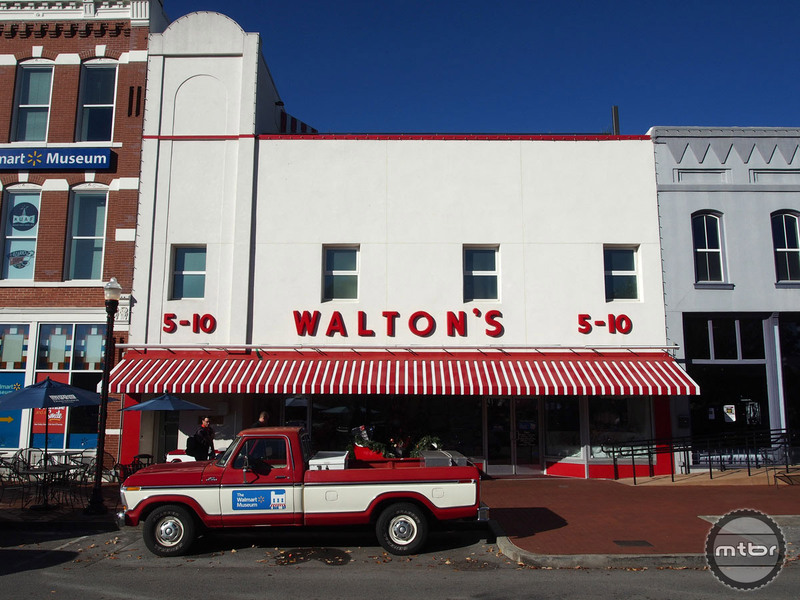 Before there was Walmart there was Walton’s 5-10, which still operates in downtown Bentonville. Many of the trails are directional. 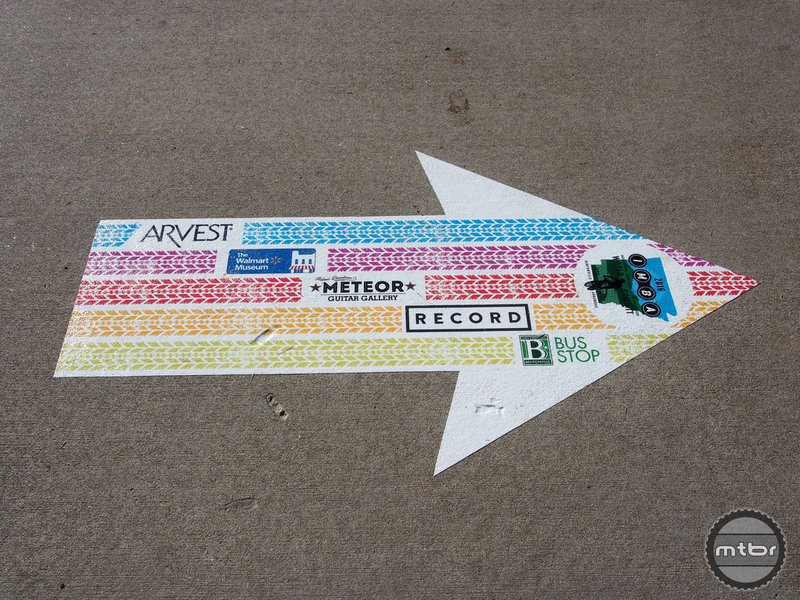 Directions to the various session host sites comes courtesy of these signs on the Bentonville sidewalks. 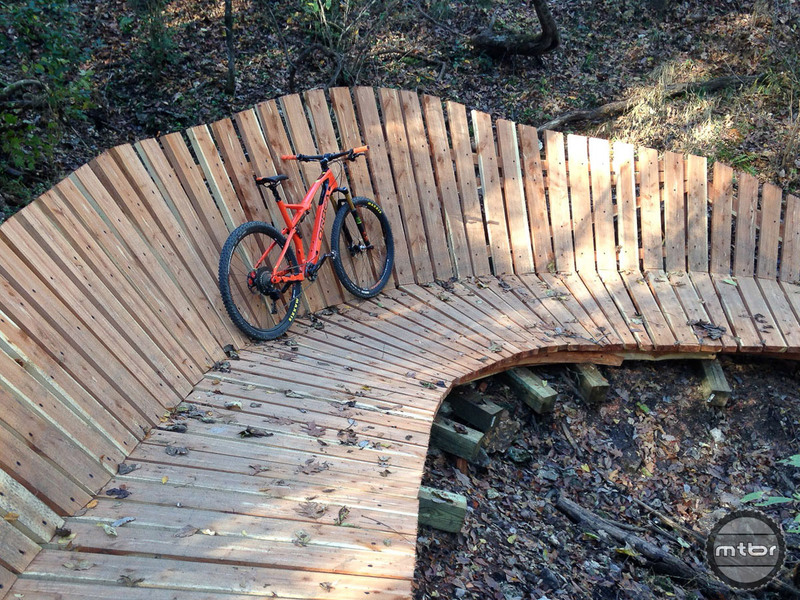 Some impressive woodwork and an Orbea Occam demo bike made for fun times on the trail. Signage is copious, including this heads up that there’s an optional skinny just ahead. Sustainable Trails Coalition leader Ted Stroll is among dozens of panelists at this year’s Summit. 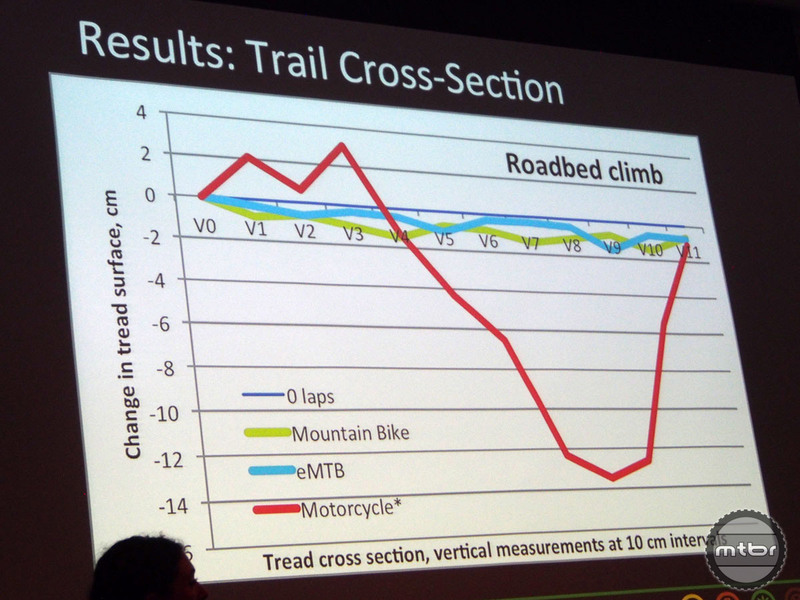 IMBA unveiled findings from a study that found e-bikes have similar impact to regular mountain bikes. The social impacts, however, are likely a different story. 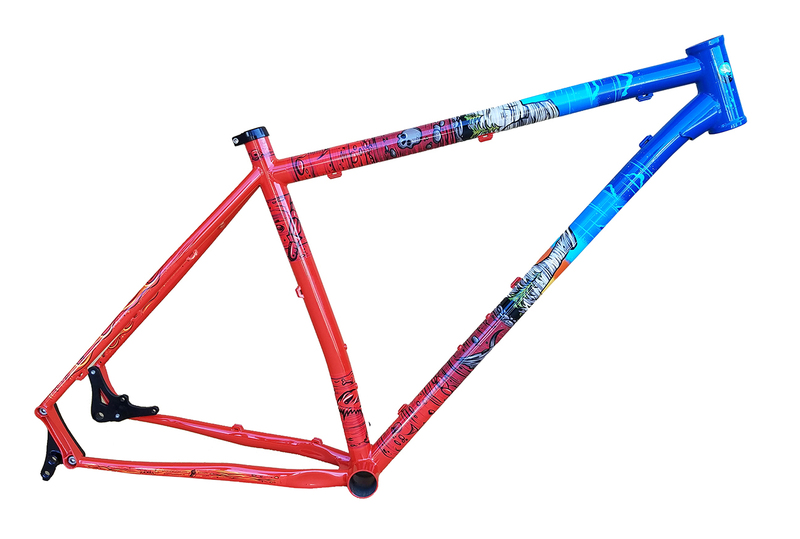 Minneapolis-based Advocate Cycles just announced that it’s donating to IMBA 100% of after-tax profits from sales of specially painted limited edition Hayduke frames. These 30 frames will be sold through Advocate Cycle’s dealer and direct sales channels for $800. Each purchase will include a free 1-year membership to IMBA, with the entire purchase price going to IMBA’s Dig In Campaign. 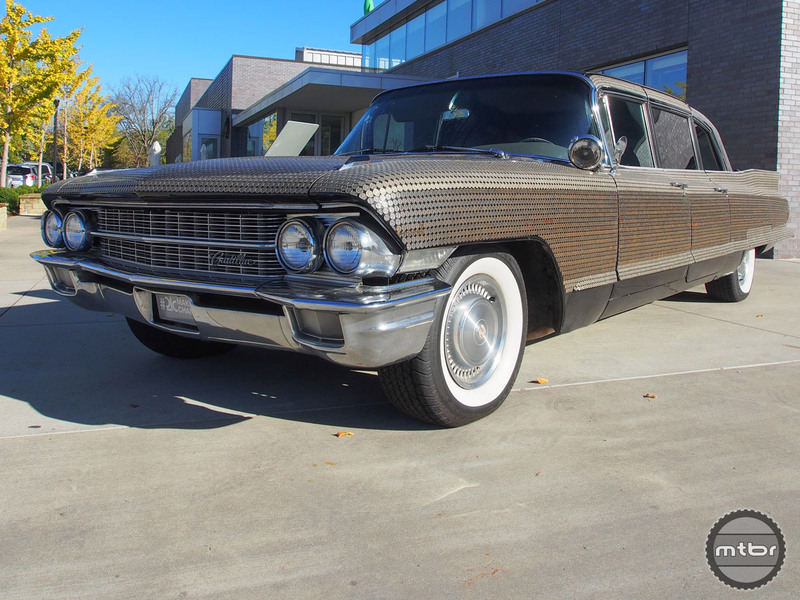 This museum piece car out front of the host hotel was too cool to not share. Talked about being nickle (and penny) plated. Directions to the various session host sites comes courtesy these signs on the Bentonville sidewalks. New IMBA chairman of the board at work on his home trails in Gunnison, Colorado. Best thing about that article is seeing Ted Stroll there. Yeah STC !!!! Keep up the good fight !